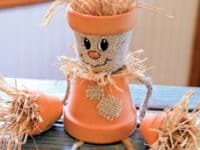 The idea of making your own scarecrow might not be a common one, or at least that’s what we thought until we started actually searching for tutorials! 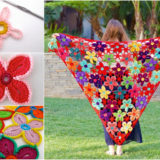 When we decided we wanted to make our own we thought of a few different ways we could do it but we wanted a bit of help and reassurance from people who had done it before. 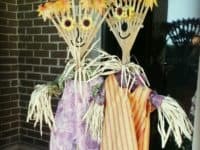 That’s how we found out that there are plenty of other people that make their own scarecrows too and they’ve written about their experiences to help people like us (and you) out! 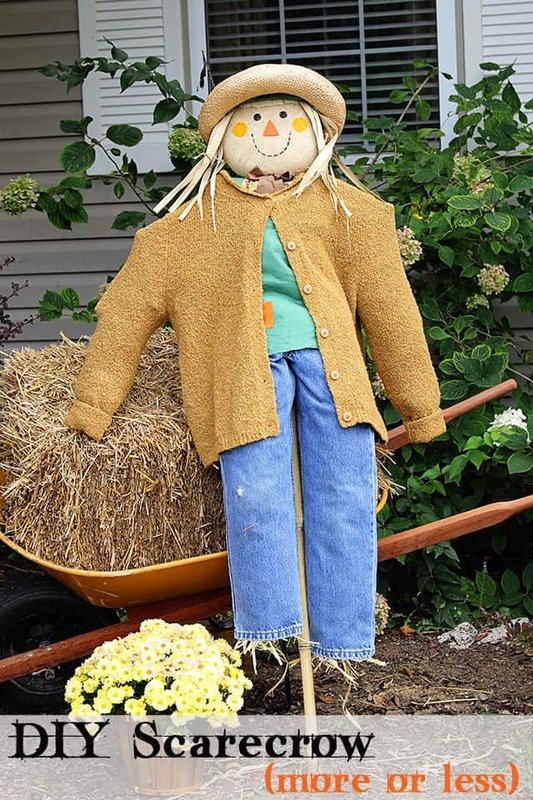 Are you happy to have any kind of scarecrow in your garden as long as it does the trick and looks cute, even if it doesn’t actually have real arms, legs, and a head like some scarecrows that actually mock the human form do? 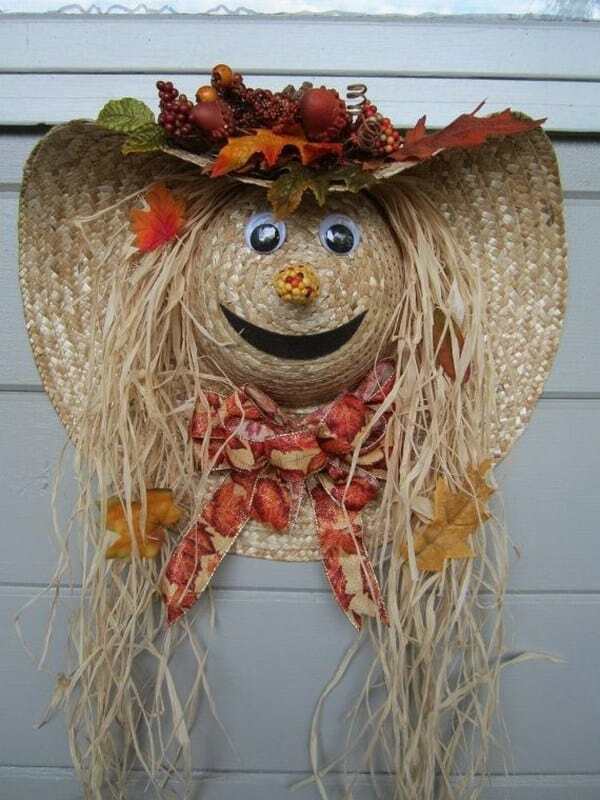 Then this cute little scarecrow made from a rake and some faux hay is perfect! We like the idea of using fake straw rather than real straw because we’re actually allergic to hay. 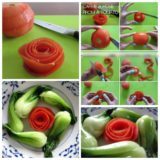 See things in better detail on Pinterest! 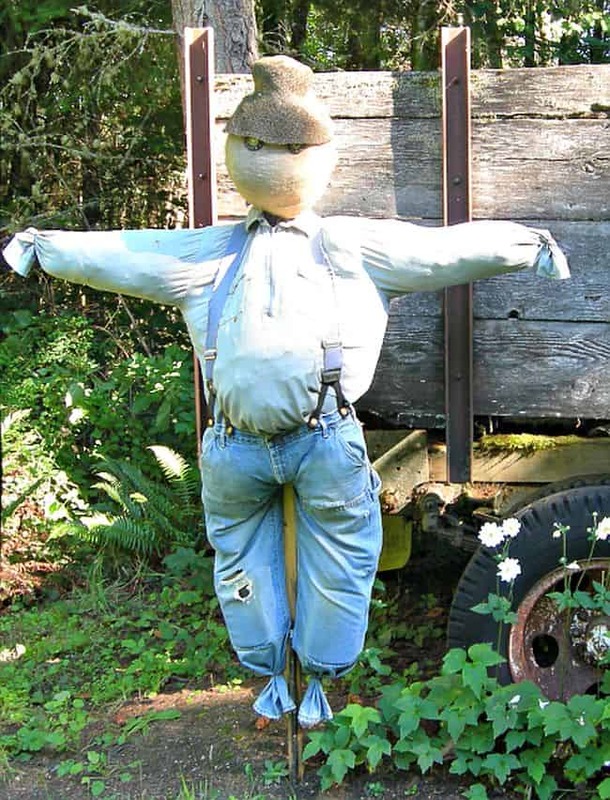 Did you have some good ideas about how to make every part of your scarecrow except the frame itself and you’re worried that what you’ve got planned might be a little too floppy? 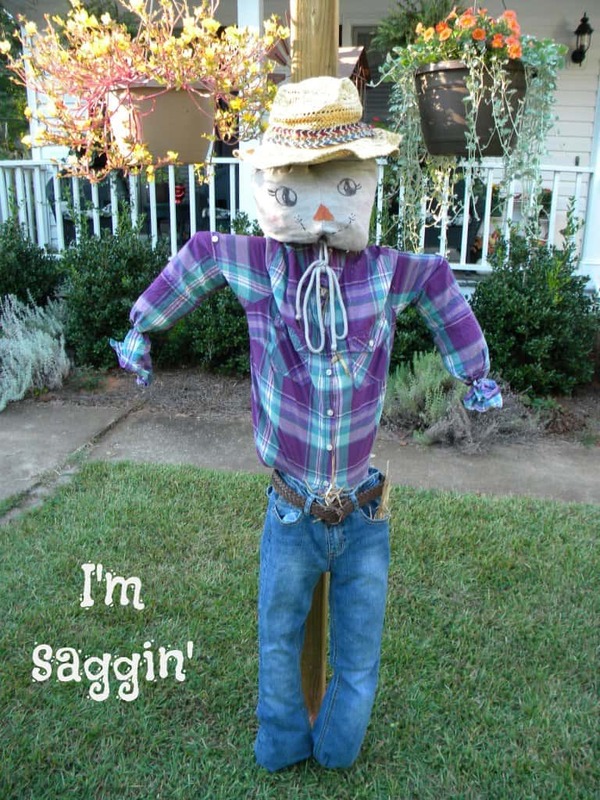 Then check out how We Call It Junkin’ stabilized their scarecrow using a sturdy frame made of PVC pipes! 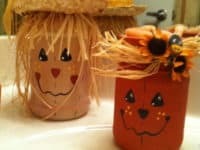 Was the thing that actually caught your attention most and made you want to make a scarecrow of your own actually a little premade scarecrow from a show? 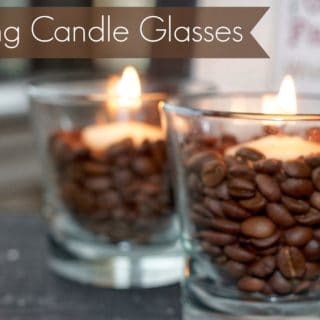 Well, rather than starting from scratch and just trying to mimic what you saw in the store, why not actually use that as a base and build your own ideas on top of it? 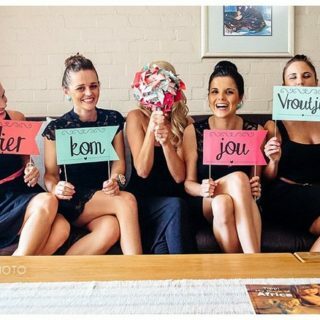 That’s what House of Hawthornes did here and we think it turned out wonderfully! 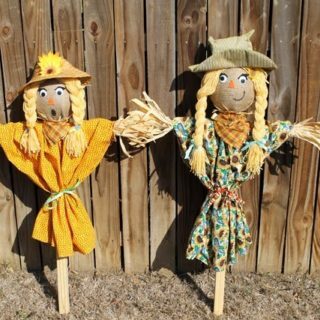 Are you, once again, not that concerned with making your scarecrow look like an actual person but you’d like to make sure it has maximum bird and critter scaring power? 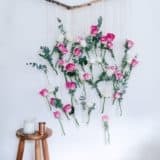 There are plenty of ways to do that, but one of our favourite techniques when it comes to both effectiveness and visual appeal is this stripped fabric idea from The Budget Decorator. 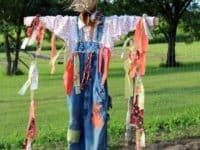 They’ve used scraps of brightly coloured and patterned material tied to their wooden framed scarecrow so that the strips will blow in the wind and keep animals out of your garden. 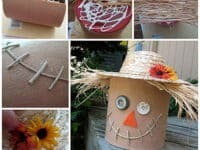 Perhaps you clicked on this article hoping to see all kinds of scarecrow themed crafts rather than just tutorials about how to make actual scarecrows themselves? Well, if you ask us, food and things made in the kitchen are just as much a part of the DIY world than anything else! 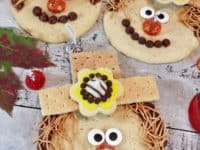 That’s why we loved this adorably decorated scarecrow cookie idea from Blessed Beyond Crazy. 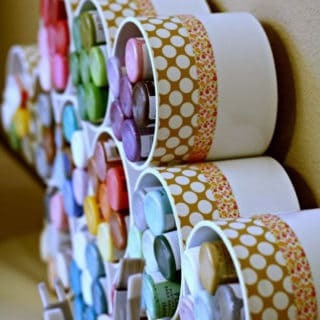 This one’s a great idea for getting your kids involved in the DIY process. 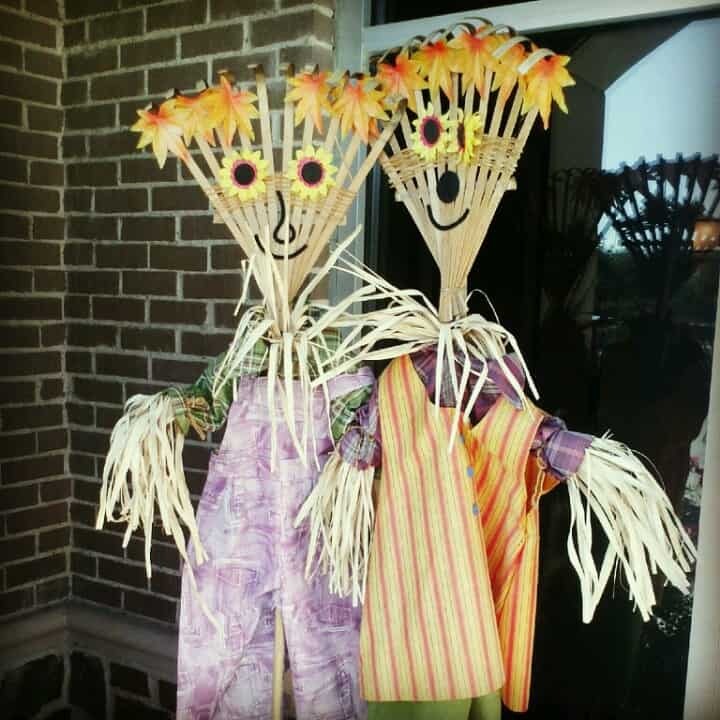 When you picture an adorable little straw scarecrow, does your mind’s eye wander to something smaller and more novelty than the real thing that sits out in your yard? 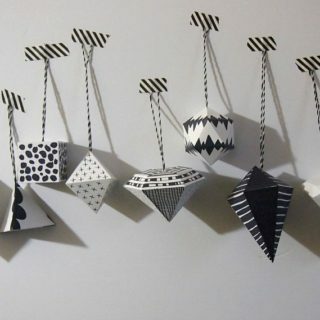 Then maybe you’d prefer this cute decorative version that sits on the mantle! 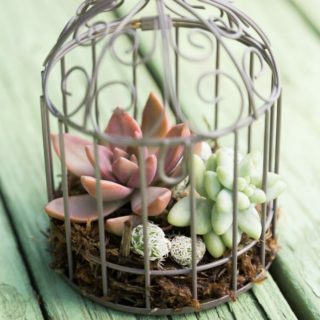 Hobby Lobby Projects shows you how to make it from little clay planting pots. 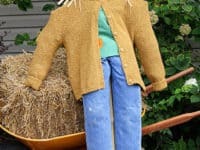 What if stuffing your scarecrow is the part of the DIY process you need the most help with, rather than dressing it or building a frame? 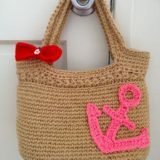 In that case, we suggest you take a look at how Thrifty Northwestern Mom made this one! 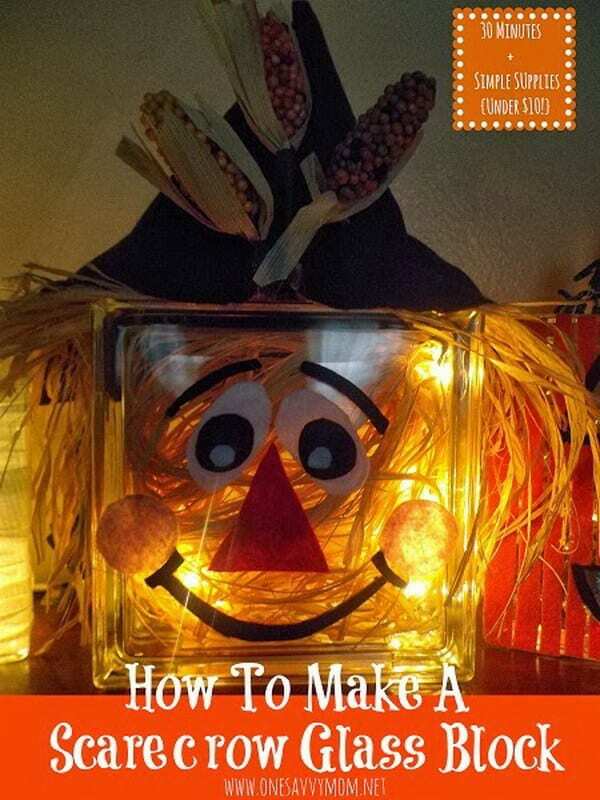 Their tutorial shows you how to give your scarecrow some bulk in a creative way using balloons. 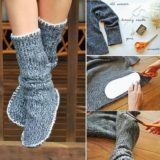 Perhaps your best DIY skills lie in your ability to paint well by hand? 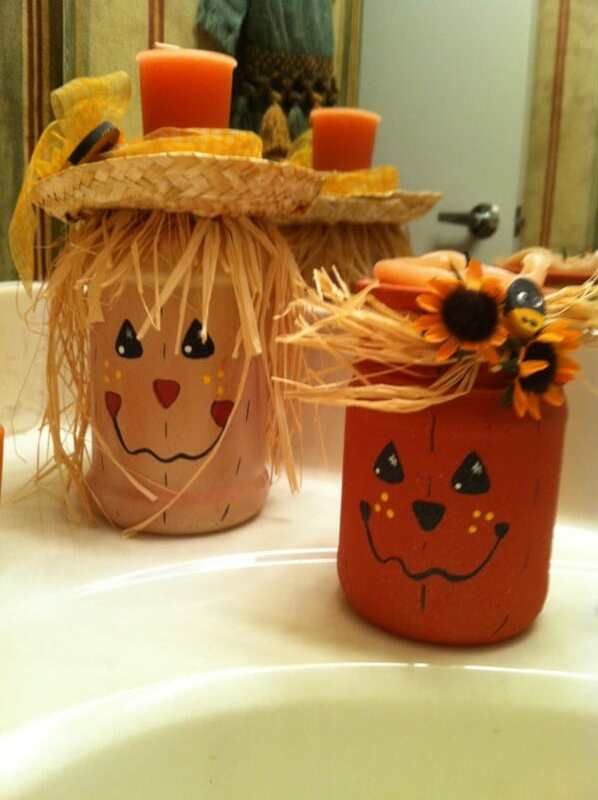 In that case, you’re pretty much already prepared to made these adorable painted scarecrow mason jars featured on Thrifty Fun! 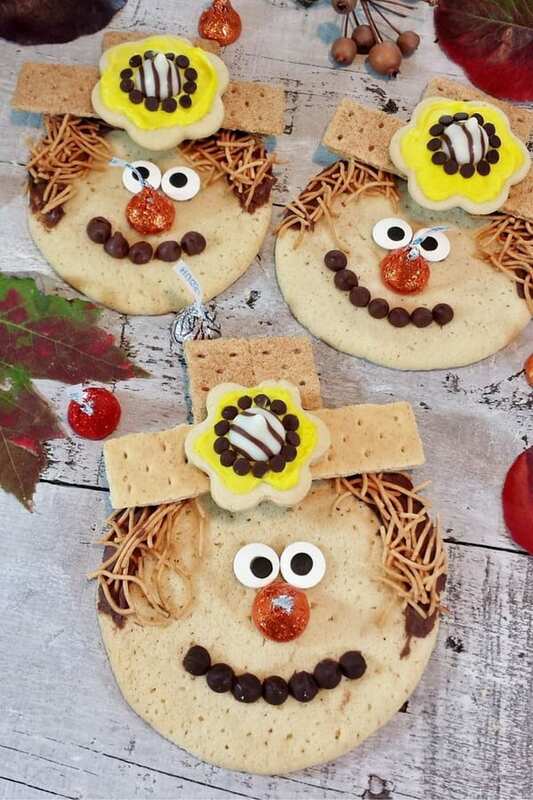 We really like the idea of making these in preparation for Halloween since the faces are painted like the jack-o-lantern style of scarecrow we just showed you above, but you could also get creative and make the same idea but put your own spin on it by painting a classic scarecrow face instead if you wanted your piece to look less Halloween specific. 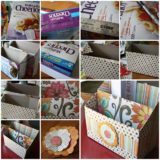 Some of our very favourite DIY pieces are ones that take something you want to upcycle and transform it into something else. We understand that that’s kind of the point of upcycling when it comes to function- here Just Imagine turned a sun hat into pretty décor- but we mean that we like the idea of making the new piece actually look like something specific. 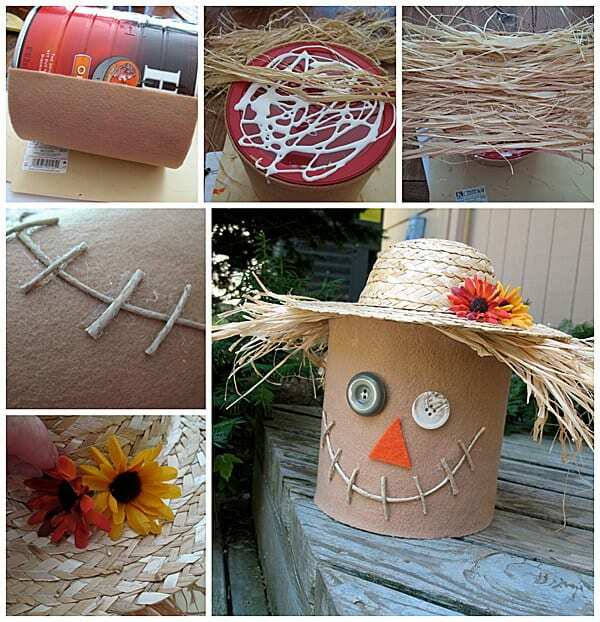 This tutorial shows you how to turn the hat into a wreath, but more specifically into a cute scarecrow wreath! 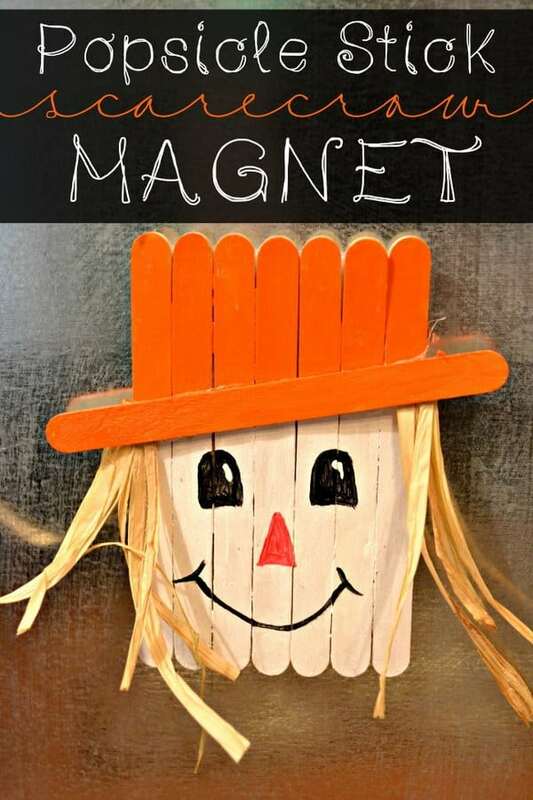 Are you still looking for fun ways to create scarecrow themed crafts with your kids, so you’re leaning more towards a little décor project rather than creating an entire actual scarecrow from scratch? 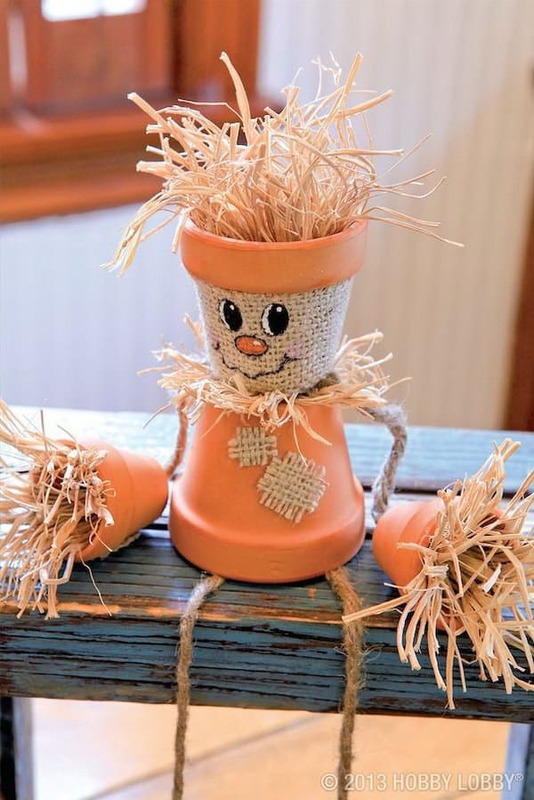 In that case, we have a feeling you’ll appreciate this little scarecrow piece made from a simple emptied coffee tin. 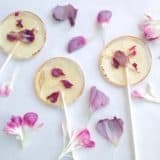 Crafts by Amanda shows you how to make it happen using hemp string, fake flowers, and some felt. 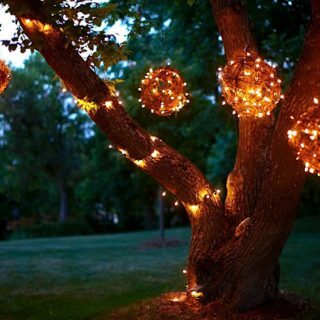 We love crafts and DIY projects that light up. No matter what the theme we’re writing about is for a post, we manage to sneak some type of lit version of the idea onto our lists more often than not. 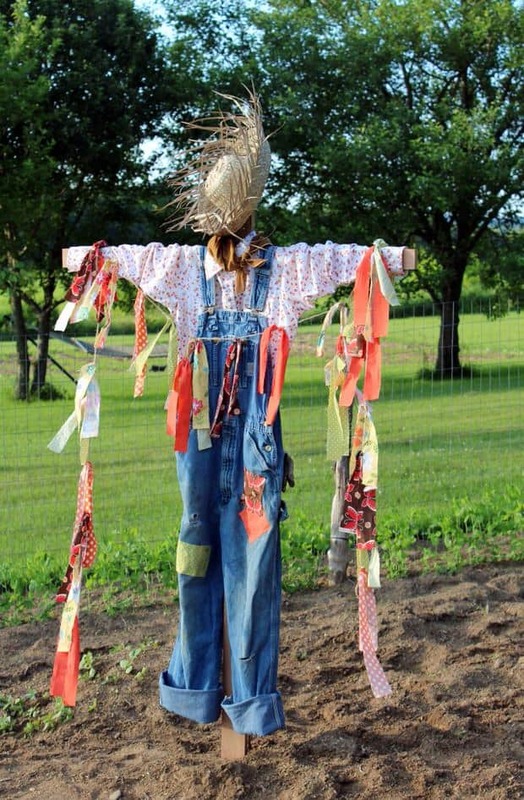 Scarecrows are no exception! 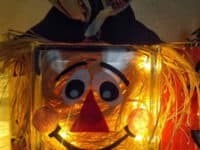 In this tutorial, One Savvy Mom guides you through the process of turning the kind of glass box you’d put in a decorative door or garden wall into a little scarecrow themed night light. 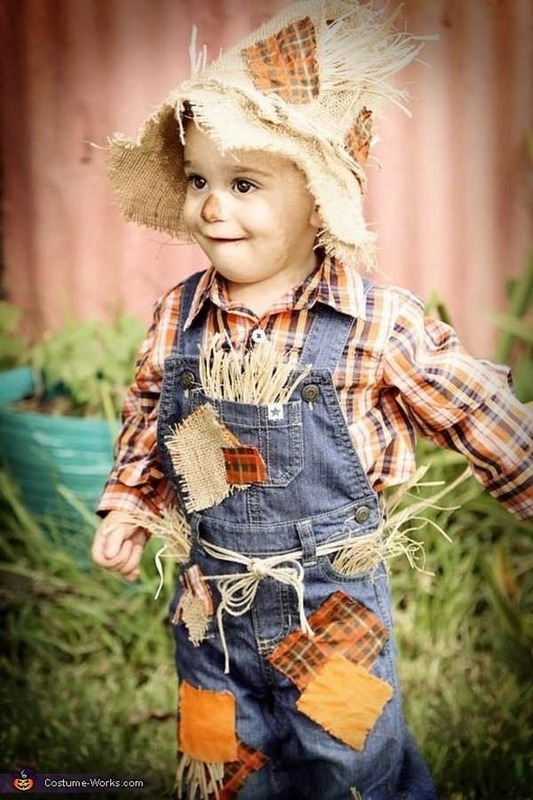 While you’re turning everything else around you into an adorable scarecrow, why not turn your child into one while you’re at it? 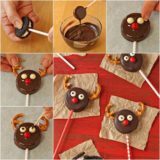 We know that Halloween is quite far away but, like we said, we’re total keeners when it comes to making things in advance. Besides, kids love playing dress up games and will wear just about any kind of costume any time of year! 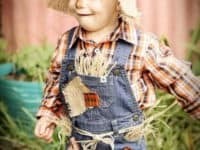 Check out how this cute but surprisingly simple kids’ scarecrow outfit was made on Costume Works. 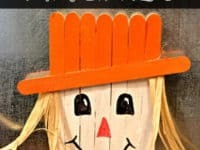 Just in case your kids are loving their scarecrow crafting time so much that you need to have a few more options up your sleeve, here’s one that uses a classic kids’ crafting staple: popsicle sticks! 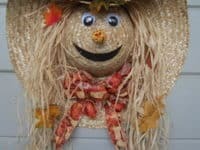 Check out how This Girl’s Life glued them together, painted a cute face on, and embellished the base with straw hair and even a little hat. 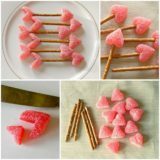 Are you a big fan of gifts and treats for your visitors no matter the season? 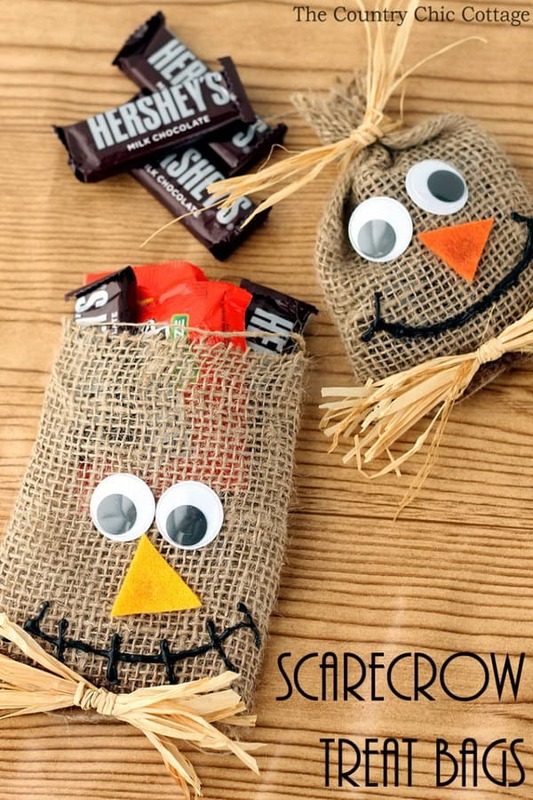 Well, whether it’s actually fall and Halloween or whether you just happen to really love the cute country aesthetic of scarecrows, we highly recommend these novelty candy bags featured on Old Time Pottery. 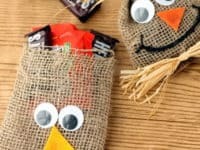 They’re made from burlap and faux straw and they’re another great thing to get your kids’ help with making!